Concern. Many times festivals and shows have been forced to switch venues whenever someone in the management opts to take money from another event organiser and give out both the date and venue, Charlotte Ninsiima and Andrew Kaggwa explore the issue. 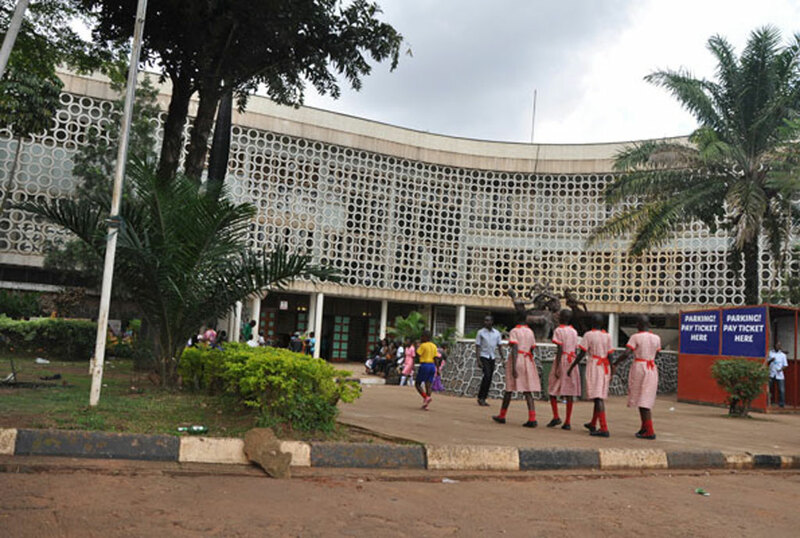 Last November, the first edition of what is yet to become an annual event, the Uganda National Cultural Centre (UNCC) art and cultural festival, was held at the National Theatre in Kampala. The fine event brought together artistes such as Jackie Akello, Angella Kalule, Lilly Kadima and Kenneth Mugabi, among others, whose sounds represented the different regions of the country. Yet, even when the lineup was amazing and catering to more than music, the festival suffered what have in the past years become the pledge of the institution. The festival failed to attract an audience, something that has become the norm. It also went down with a silent altercation between the artistes and the space’s management. It had all started almost two months earlier when Oscar Ssenyonga booked two days in the auditorium to host his annual Tuzinne Festival of dance. The theatre was to announce their own festival starting on one of the days Tuzine would be happening. Talking to this newspaper then, Mr Robert Musiitwa, the spokesperson of UNCC, said they were working things out and were going to incorporate activities of Tuzinne into their general schedule. During the fest though, it was clear this was not the case as Senyonga’s event had been forced to reschedule their two days activities to fit a single day. Apparently, the management at the time had reasoned that it did not make sense to have two events happening at the same time. Yet on Saturday, the would-be second day for Ssenyonga’s Tuzinne, the management had booked a private event, Cheza Idols, into the auditorium. The event was separate from the UNCC festival. It was a weekend whose activities partly laid out what the National Theatre should be doing, albeit to what it is becoming. In three days, they had served art and frustrated an artiste while at it. The artistes’ frustrations with the National Theatre have fast become the new normal. Many times, festivals and shows have been forced to switch venues whenever someone in the management opts to take money from another event organiser and give out both the date and venue. And it was the same case with Tuzinne Festival. “Oscar booked his date way before the theatre knew they would have a festival, but they frustrated him on one of the days he chose and turned around and gave out the auditorium to someone who booked later because they came with money,” said a management insider who requested anonymity. Considering the fact that artistes are most of the times been double-booked with promotions, church services or organisation celebrations, it has left many of them questioning their priority at a place they call home. Julius Lugaaya, a coordinator at Theatre Factory, a comedy outfit points at a fact that artistes and the management are tactically speaking a different language because of a fact that the executive director, Mr Francis Ojede, is not an artiste. He reasons that the production department plays an important role because it enhances trainings for quality productions and provides space for competitions. It is believed arts spaces mostly thrive when the production department is progressive. They usually ensure consistency and quality output on such spaces’ platforms such as the auditorium. Today, the theatre clearly struggles in the department as it goes for years without an in-house commissioned production that most of the times, they are at the mercy of independent productions, which only afford one or two shows. This leaves them vulnerable unlike other spaces such as Theatre LaBonita or Bat Valley Theatre that stage weekly shows, thanks to their resident groups such as The Ebonies and Afri-Talent, respectively. Such drama groups keep these theatres active, consistent and thus form a bond with an audience that flocks these places on a weekly basis. The lack of consistency and a presence on social media sites has today left the home of art in the cold as artistes and audiences have since migrated to progressive spaces that offer more than space. In 2016, the management embarked on an ambitious project that was meant to see the premises redeveloped, the initial artistic impression that was seen by this newspaper had a skyscraper that was then termed as a cultural complex. But artistes Philip Luswata, Jack Sserunkuma, Lugaaya and former UNCC boss Karundi Sserumagga, among others, opposed the move. Then, one of the reasons that was given was that the National Theatre is a monumental structure that needs maintenance and not a redevelopment. On their part, the theatre management reasoned that they wanted to build an arcade that could accommodate shopping malls and restaurants, as well as house bigger auditoria. “The biggest problem of the National Theatre is not space, it is the management. Why are we trying to build a bigger theatre when we have failed to fill the small one?” Mr Luswata sakd, mirroring the dismal number of people that turn up for shows at the theatre. However, people who have attended closed-door meetings believe that management believes art cannot make money for the theatre and thus, an arcade will help sustain the place where art has failed. In 2017, while in preparations for the East African Jumuiya ya Afrika Mashariki Utamaduni festival (Jamafest), UNCC, according to Ojede, received Shs3.2b to give the facility a facelift. This came after artistes had complained about the capability of the space to support their creativity as well as offer comfort to those who come to consume the works. At the time, the main stage plywood had been infested with ants, most of the lights were not working, the roof was leaking and many chairs in the auditorium were infested with bugs, while others were broken. Mr Diplock Segawa, a veteran artiste who has had an office at the UNCC premises for almost 10 years, says the bad lighting and sound made shows at the venue expensive since organisers had to outsource services. The renovations, of course, took care of many of these issues as Edwin Mukalazi, an artiste who also works at the facility, says. He adds that before the renovations, the auditorium depended on only 10–12, lights which today have been increased to 20 digital ones. Yet for some, the renovations left a bitter taste. Mr Serunkuma, for example, says Ambitious Contractors Limited was not fully vetted to handle such a demanding job. Accusations. Over the years, the administration of UNCC has been accused of forgetting that they are running an institution and not a place. Claims have been that, unlike other bodies that have spread to other parts of the country, UNCC is stuck at Nommo Gallery and at the National Theatre. No need to demolish it. Speaking at the launch of the UNCC Arts and Culture Festival, Ms Peace Mutuuzo, the State Minister for Gender and Culture, stressed that there is no plan to demolish the theatre, but there are plans of constructing an arcade. Spreading wings. Among other things, she noted that they want to spread the wings of UNCC but was never sure of when the process would kick off. Affiliation. Mr Sserukuma, says the National Theatre ought to be affiliated with Makerere University and incorporate audience development programmes for marketing so that performing actors can thrive. “Many artistes have left because they don’t find value at the theatre,” Mr Ojede says, adding that starting next year, they have signed a memorandum of understanding with art experts at Makerere University, School of Music, Dance and Drama to polish skills and run programmes. Besides those mourning the acoustics, UNCC tenants have complained that even when they were forced to vacate the premises for renovations to take place, management is forcing them to pay rent arrears for the time they were not occupying the space. “We spent three months being mobile, working on verandahs, yet after moving back into the now renovated buildings, UNCC wants us to pay rent even for the months we were working out of offices,” says one of the tenants. For many artistes, the move was intended to frustrate them since it is well known to the management that they do not make lots of money. Mr Denis Kawalya, the team leader at Centrix Films, besides being coerced to pay months of rent during renovations that went beyond the agreed time frame of one month, he faced interruptions from security personell who always chased them from the premises during late hours of production work and decided to leave. Today, the theatre makes much of its revenue from tenants and the parking lot and meeting spaces, among others. “On average, we are able to raise almost Shs1m from parking because Saturday afternoon and Sundays we do not charge for parking. On average, though, rental spaces provide between Shs22m and Shs23m from a quarterly basis,” Mr Ojede says. But none of this goes into supporting arts because, according to him, it is barely enough.